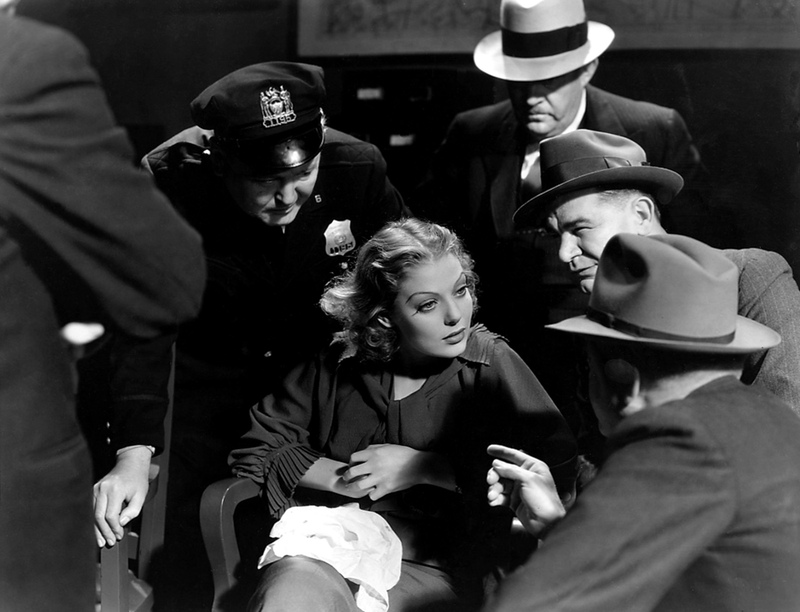 When we meet Mary Martin (Loretta Young), she is on trial for murder. The prosecutors think she deserves to be put on death row, and Mary’s sure the jury will think the same. As Mary waits for the jury to deliver their decision, she begins to reminisce on her life. Flashing back to many different years beginning in her youth, the viewer learns of Mary’s struggles, from the loss of her mother in 1919 to her first run-in with the law in 1923 and so on. As these flashbacks progress, the truth of how Mary ended up on trial for murder is slowly revealed before the film jumps back into the courtroom to reveal her fate. William Wellman directs Midnight Mary, a 1933 MGM pre-code drama based on a story by Anita Loos (“Nora: Girl Delinquent”). Alongside Loretta Young the cast includes Ricardo Cortez, Franchot Tone, Una Merkel and Andy Devine. Fantastic set design and costumes are provided by Stan Rogers and Adrian. Midnight Mary immediately grabs the viewer with the somewhat shocking and certainly high-tension scenario surrounding Mary’s trial. She’s facing a death sentence, and some of the details of the murder are revealed in this opening portion. Most shocking of all is Mary’s seeming ambivalence to her situation; she sits in the courtroom reading an issue of Cosmopolitan magazine while the prosecutor and defense lawyer argue their positions on her case. In the flashback scenes, the viewer receives an insider’s view of many years of Mary’s life leading up to her crime. Most of the film is spent in this flashback save for a few minutes each at the beginning and end. Remarkably, Loretta plays her character in all of these flashbacks and is convincing at every supposed age. It’s amazing how she’s able to transform from young girl to grown woman all through makeup, costume and attitude. Given that the entire film is only 74 minutes long the pace of these flashbacks does sometimes feel a bit too fast, as though they’re trying very hard to fit Mary’s whole life into just over an hour and must speed things up greatly to do so. In general, though, the pace works because it keeps the audience involved in the story. There certainly are no chances to get bored here! The story told in Midnight Mary is obviously engrossing because so much happens to this woman. How could the viewer not be interested in her life when she’s getting accused of stealing, becoming involved with shady gangsters and allegedly committing murder? There are some very typical scenes of pre-code raciness at work here, though it isn’t super-duper saucy. (In one scene, Mary makes out with a man in a car — a scene that would fit well in any modern film.) Most of the focus is on Mary’s journey through a life of crime and has less to do with her romantic pursuits, though they do play a part in the story. What an interesting story for a film released in 1933…and as soon as I saw that first photo, I thought, “Hey, that’s Una Merkel!”, who I just watched in ‘Kill the Umpire’ last night. When I do, Midnight Mary is in the queue! Next Next post: March 2013 in review + DVD collection update!